bodyART™ by Robert Steinbacher is a holistic, functional, mindbody training system combining strength, cardio, flexibility and classical breathing techniques. Based on the principles of Yin and Yang and the 5 elements of Traditional Chinese Medicine, bodyART™ training creates a dynamic link between active and passive movement, creating a greater sense of balance in the body. Many of the movements in bodyART™ are inspired by yoga, pilates, tai chi, martial arts and tribal dance creating a synergy of physical training and mental relaxation. Classes are designed to meet the needs of each individual by offering multiple levels of difficulty for each exercise in this challenging barefoot workout. The MELT Method®, by Sue Hitzmann, is a simple self-treatment that reduces chronic pain and helps you stay healthy, youthful, and active for a lifetime. Through a carefully coordinated sequence of movements using a soft body roller and specially designed balls, MELT rehydrates the connective tissue(also known as fascia), rebalance the nervous system, unwinds compensation patterns in the body and restores space to compressed joints. New research has revealed the missing link to pain-free living: a balanced nervous system and healthy connective tissue. MELT directly addresses these two systems in the body in a way no other self-treatment can (including diet and exercise). The ultimate goal of MELT is to improve the body's ability to restore balance and repair itself; which can create remarkable, lasting changes. 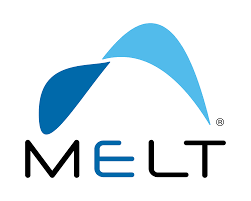 MELT offers natural pain relief, allowing you to address the true cause of pain, not just masking the symptoms.